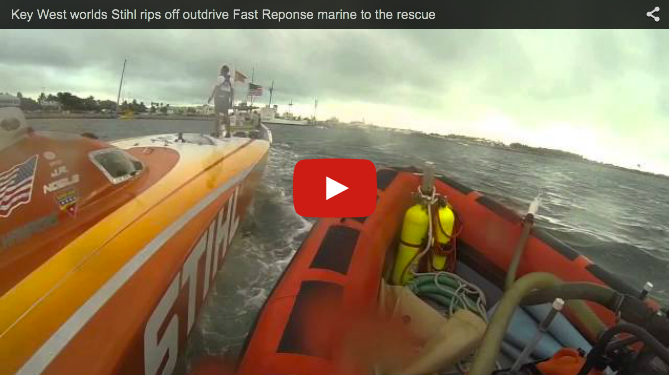 Team Stihl rips the outdrive from its hull during the 2014 Super Boat International Championships in Key West. Fast Response Marine Towing and Salvage was on the scene. Stihl was taking on water quite rapidly, but thanks to Capt. Chuck and his quick thinking, the vessel was saved from sinking. Both driver and throttle man were okay!